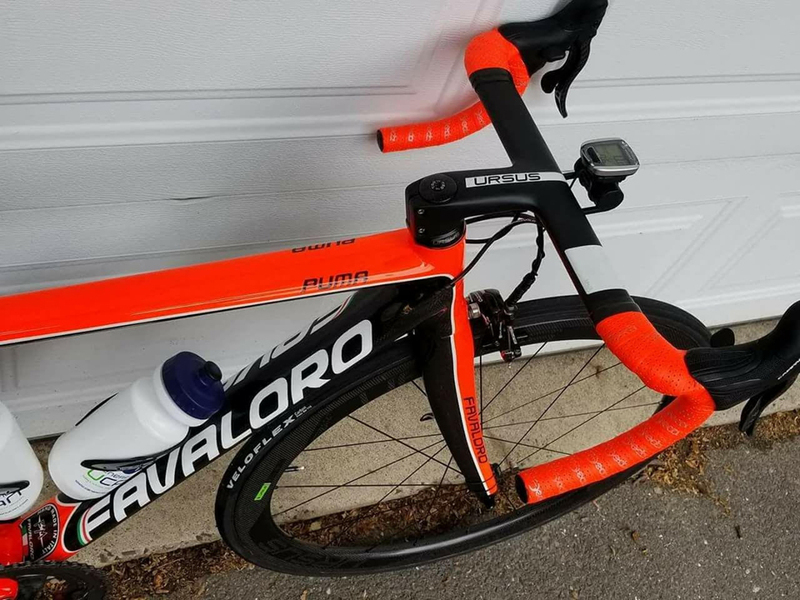 As a lover of high end bikes, our reader Andy from Connecticut was always going to get a special bike when he went bike shopping but instead of just another off the shelf option he instead went all out with a sweet custom Favaloro Puma XLIGHT from Italy decked out with full Campag Super Record of course. Bellissimo! When did you buy it and what made you choose this bike? I commissioned the build of my bike in July 2016 through the exclusive US Importers, Albabici. I own numerous High End Road bikes as references and as sweet and nice they are, I always seemed to be between sizes. 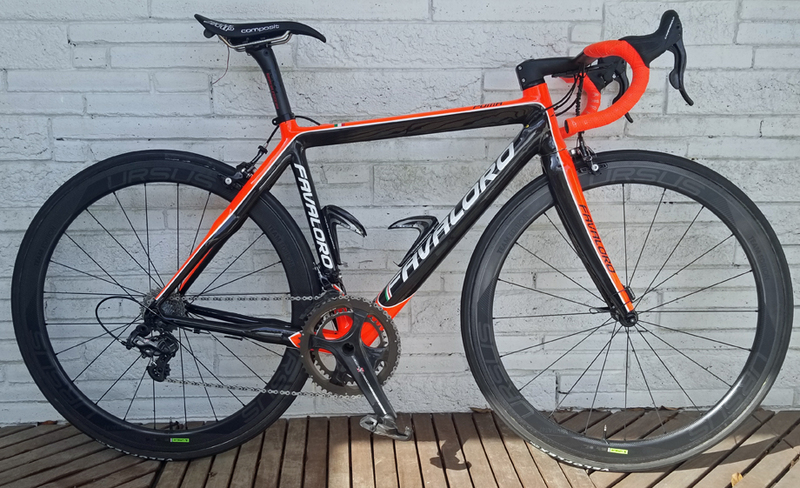 Before buying this bike I test rode two PINARELLO F8s with familiar wheelsets in the only sizes that might work and as nice as the F8 rode, I could not dial in my "Sweet Spot". The smaller frame had good stand over and height but the top tube was too short. The next size up, the top tube was good but the bike felt too tall. The F8 was also ultra stiff with great power delivery but way too harsh vertically. 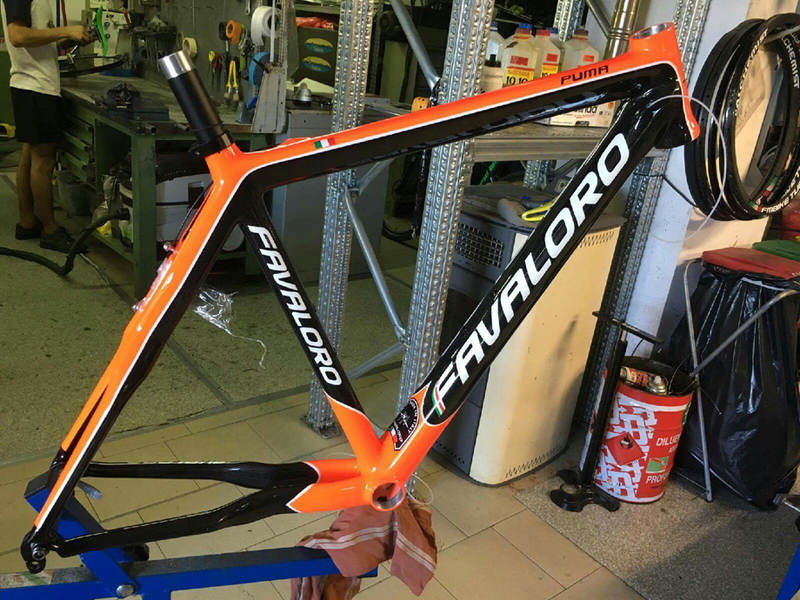 After some in depth research and a wonderful meeting with Gianluca Caliari the president of Albabici at GFNY I decided to start the process of a custom build with Michele Favaloro. Besides Michele's stellar reputation, like a young Dario Pegeretti or Ernesto Colnago, Michele can create a stunning build within a reasonable time frame ( 5 - 6 weeks ) at a reasonable price. How did the custom process work for you? It's not as simple as choosing an off the shelf number at your LBS is it? Both Gianluca and Michele kept me updated throughout the creative process and I would receive messages as well as periodic images and video clips of my build! I also had influence and discussions on how I wanted the bike to handle and look. Michele was able to tweak my geometry and spec the right blend of carbon layup schedule to provide me with an amazing handling and looking frameset - exactly what I wanted. We also collaborated on the final choice of graphics and colours where Michele was able to modify one of his paint templates to incorporate my " Flame Theme " to the BB area. I also wanted the orange to really POP and I left it to Michele and his painter to come up with a creative solution which ended up being the Arancia / Rosso COLOUR which I think is simply stunning. What modifications/ additions have you done? 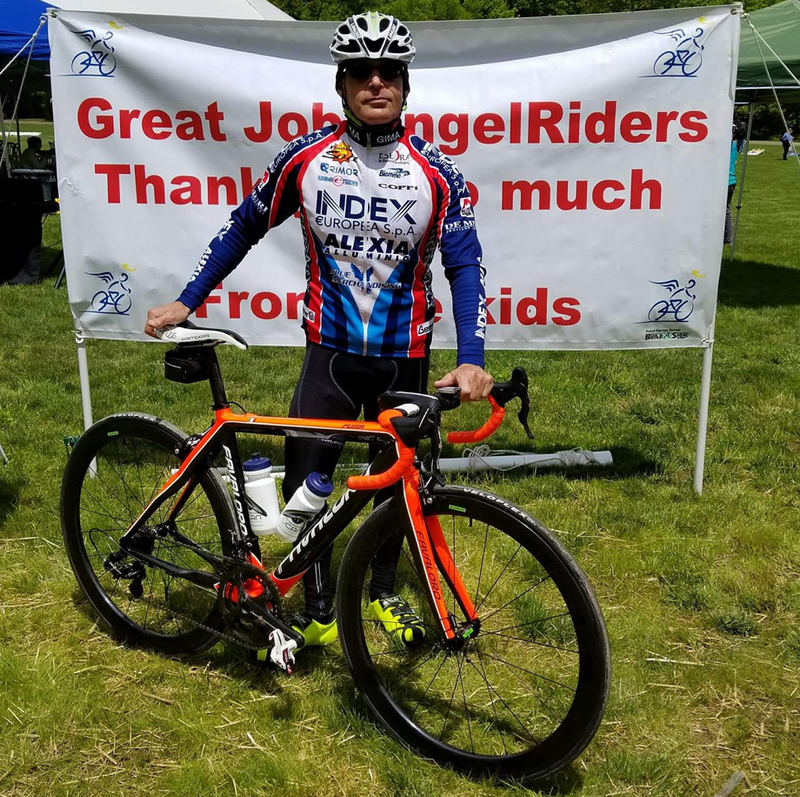 Albabici did a complete build for me but when I received the bike I brought it to my trusted local mechanic, Bob Jacobson, owner of CollegeStreetCycles. Me and Bob went through the build to sort it and Bob cut the steertube, glued the Vittoria Corsa G+ Tubulars onto URSUS TS47 Carbon Tubulars and he also removed the Campagnolo brake pads and installed BLACK SwissStop pads that work well with the carbon brake surface. I've also recently swapped the original Ursus TS47 wheels for even lighter URSUS T47 Team Issue Full Carbon wheelset with a slightly higher grade carbon / resin blend and upgraded SKF bearings, Carbon hubs and SAPIM XRAY Straight Pull spokes. Full Campagnolo SUPER RECORD gruppo with 170 cranks with 53 / 39 chainrings and 11 / 25 SUPER RECORD Cassette. How many miles/km do you do a year? EVERYTHING! It's optimized !! Michele nailed it with the geometry tweeks, his superb craftsmanship, build quality, attention to detail, his interpretation of how he did the the carbon layup schedule and the beautiful finish of the paint and graphics! 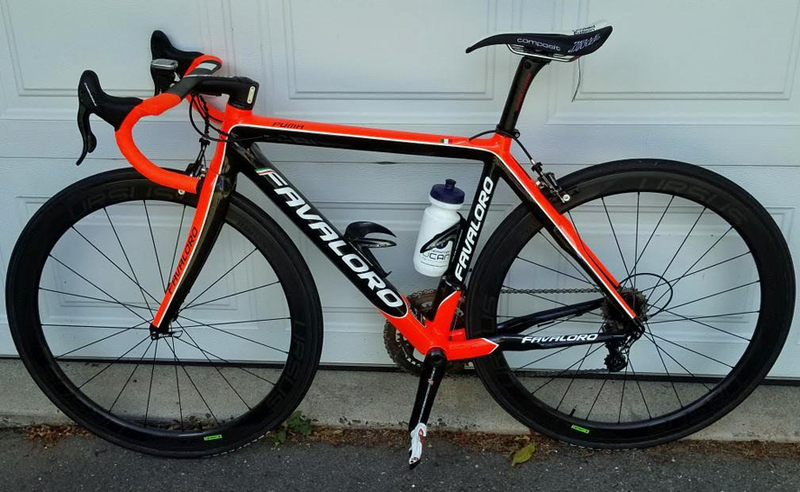 Albabici also nailed it with a beautiful component build that compliments the riding characteristics. It would have to be my maiden ride. I rode on a very challenging route that I know intimately and the frameset and all the components of the build complimented each other and just felt optimized and worked in perfect harmony ! I have had a very pleasant and exciting experience going through the creative and build process with Michele Favaloro and Albabici. 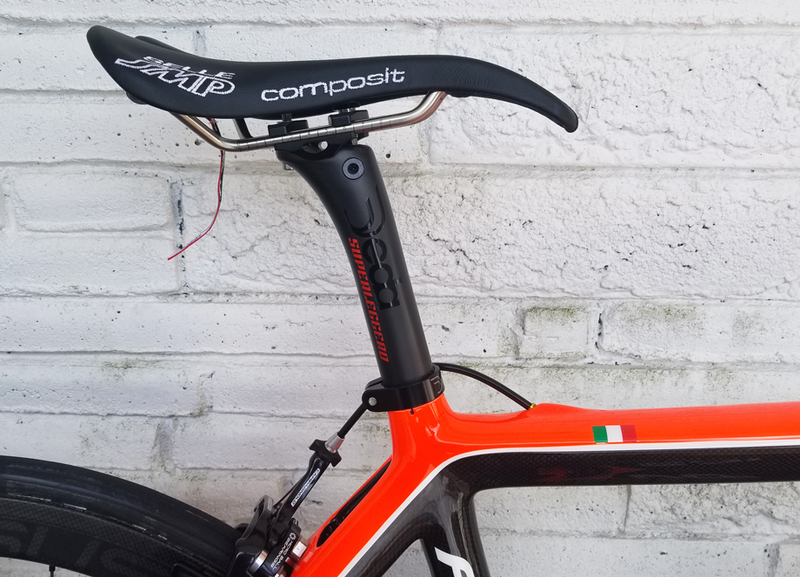 I highly recommend them to anyone contemplating a custom build, not just for the frameset, but their components that they import from Italy and source. Thanks to Andy for sharing his ride with us. Got a bike that you're proud of? Well how about sharing it with fellow PEZ fans and getting it featured in Readers' Rigs so we can all stare at it! Contact us via the Comment box below, or send a Readers' Rigs submission direct to [email protected] and your bike could be featured in all its glory here on the pages of PEZ.